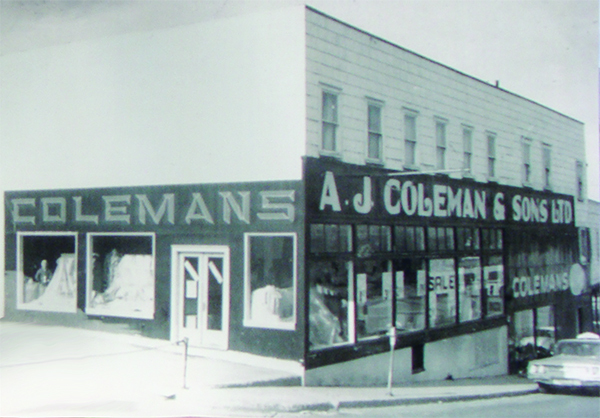 Arthur James Coleman, the entrepreneur who established the first Coleman enterprise in 1934, inspired the name of our store, Arthur James Clothing Company. His philosophy that business should be conducted in an honest and honorable way has continued with the three Arthur James stores; one in Corner Brook on the west coast of Newfoundland and Labrador, and the others in Mount Pearl and St. John's on the east coast of the island. With a strong commitment to providing extraordinary service and exceptional value to all guests, Arthur James Clothing is very proud of its why not approach as it seeks out all possible interaction to better understand its target market and continue to grow market share.